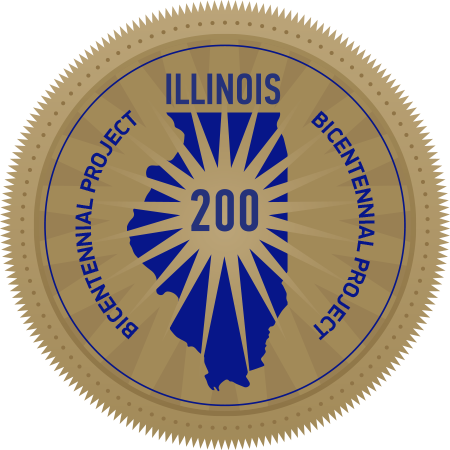 The Illinois State Museum and the Illinois Association of Museums are pleased to present a virtual exhibition titled The Story of Illinois: The Illinois Bicentennial Through Museum Objects. This exhibition consists of objects from the Illinois State Museum’s 13.5-million-object Illinois Legacy Collection along with objects from other Illinois museums, such as the Abraham Lincoln Presidential Library and Museum, Adler Planetarium, Pullman State Historic Site, Wabash County Museum, and many more. The complete Story of Illinois goes beyond the past 200 years since statehood. It also includes Illinois history going back millions of years. Over the next year, museums throughout Illinois will contribute object images with fascinating details that illustrate their significance to the Story of Illinois. Taken together, objects in these collections run the gamut from 400-million-year-old marine fossils to modern art, with millions of objects in between, each with its own story to tell. It is a unique treasure, and it is the foundation of exhibits, educational programs, scholarly research, and pride throughout the state. We hope you will explore, discover, and learn more about Illinois' unique history, and please share what you learn with others. Then, be sure to visit the contributing museums to see some of these objects firsthand. To get started, you can browse by selecting Time Period, Category, or Object Contributors on the menu bar above, or you can search using the Custom Object Search option.